Welcome to Northside Toyota, your certified Toyota dealership in Sault Ste. Marie, Ontario. 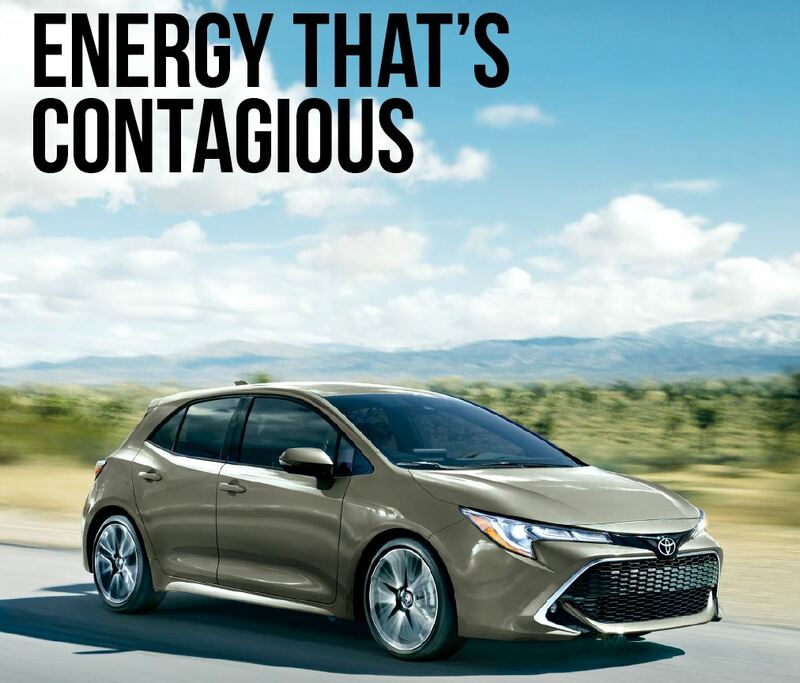 We are excited to present the All-New 2019 Toyota Corolla Hatchback. to the lake, Corolla Hatchback finds fun around every corner. The 2019 Corolla Hatchback makes a big and lasting first impression. With its sleek, aerodynamic shape, sporty wheel flares and arches, super stylish Bi-Beam LED headlights and available tailpipe diffuser. 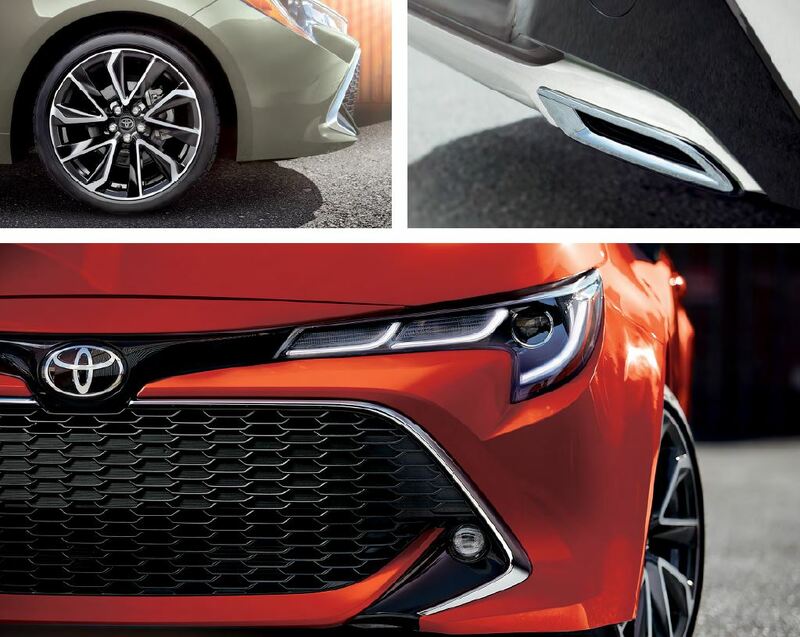 Designed with individuality in mind, you can select from several package finding the Hatchback perfect for your unique lifestyle and needs. 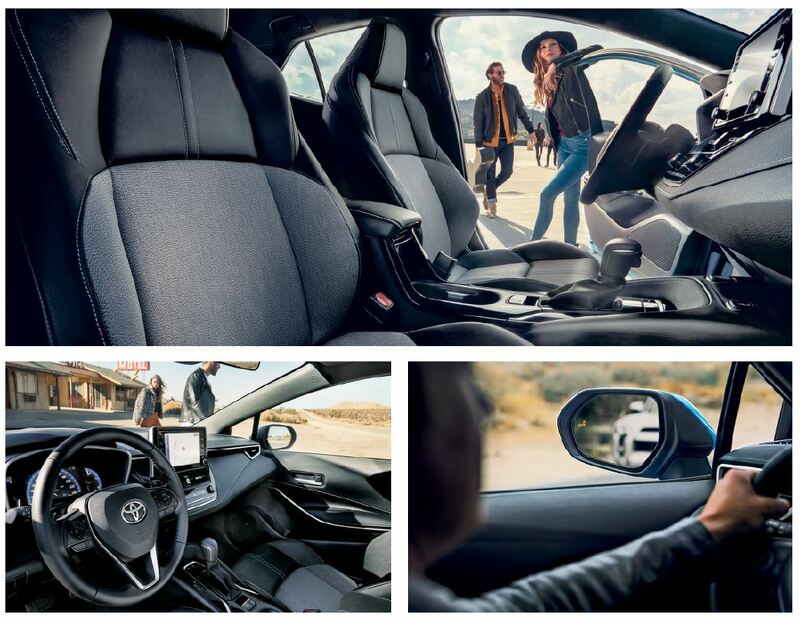 Corolla Hatchback has a completely modernized, restyled driver centric cockpit, tailored to give you a thrilling feel behind the wheel. Ergonomically designed seats along with perfectly positioned pedals and shifters, give you optimal control at every turn. No detail was overlooked, the hatchback’s interior was designed to stand out and give you total comfort. so that you have fast-paced fun the moment you step on the gas. 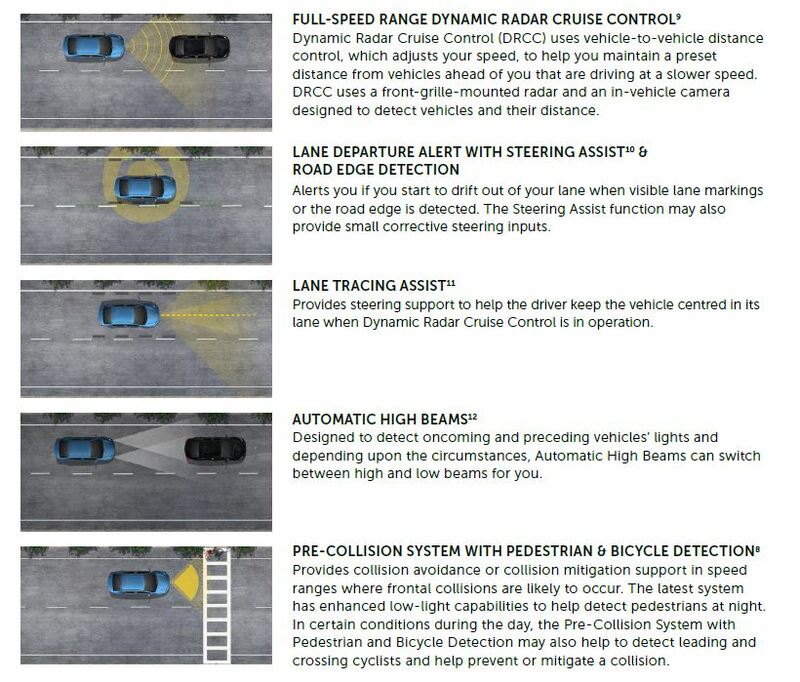 capabilities designed to help protect drivers, passengers, and others who share the road from harm. Disclaimer: Drivers should always be responsible for their own safe driving. Please always pay attention to your surroundings and drive safely. Depending on the conditions of the roads, vehicles, weather, etc., the TSS systems may not work as intended. 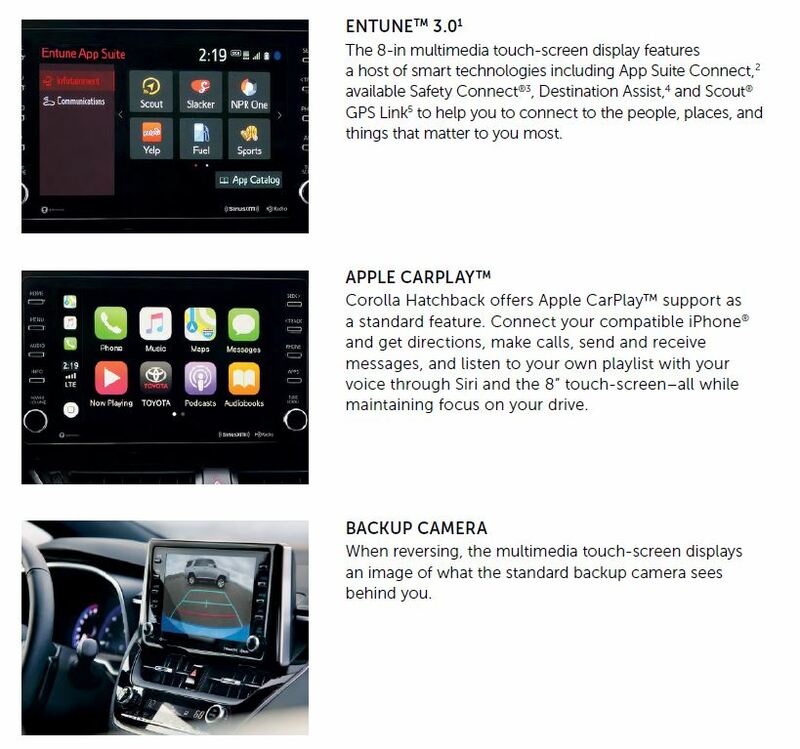 Please see toyota.ca, or Northside Toyota or Owner’s Manual for details. 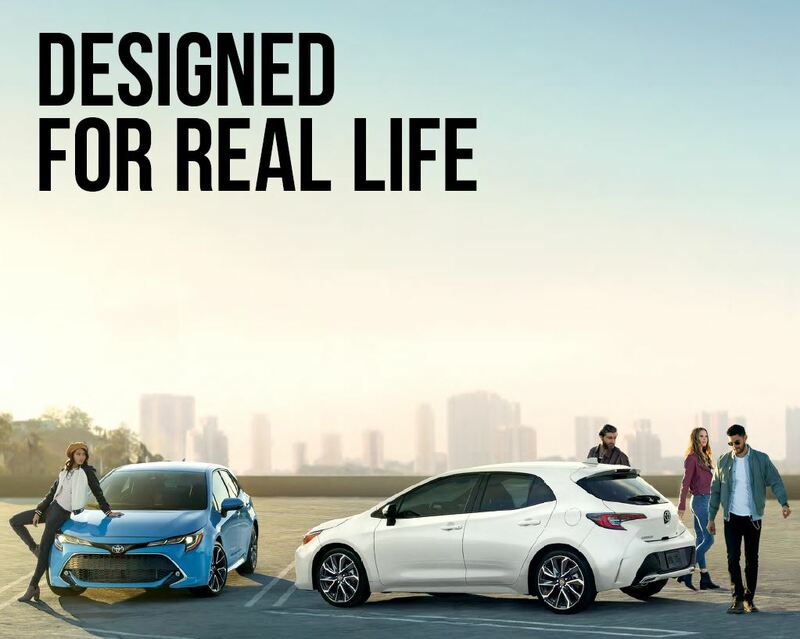 Visit us at Northside Toyota to learn more about the All New 2019 Corolla Hatchback.